Drip strips are metal flashings which overhang and project a lower outwards edge to manage water flow. They’re used to direct water drainage and protect buildings from the effects of dipping water. They’re very useful as essential parts of roofing to ensure that the roof and building interior are properly shielded from rainwater. If you have an older roof experiencing water issues, it’s a good idea to invest in new drip strips. The fact is that older drip strips tend to need replacing over time. They may become displaced by expansion and contraction, roof impacts from debris hitting the roof, or other natural wear and tear issues. For modern homes with drip issues, drip strips are the default, simple and effective solution for managing many water flow issues. Queensland Sheet Metal offers drip strips for all roofing needs. 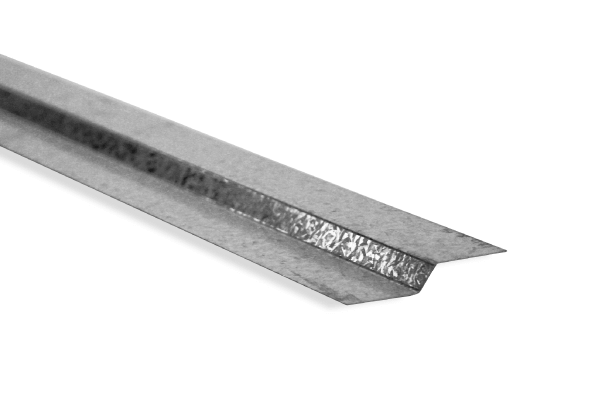 Our drip strips areavailable in Galvanised and are 1.8m in length with the width dimensions of 21 x 5 x 21mm. Please also be aware that any kind of water entry in to the building or roofing will also require attention from your local roofers to find and fix problems ASAP. We have the expertise to help you fix these problems, too. Queensland Sheet Metal offers a complete range of roofing solutions and roofing supplies in Brisbane. If you’d like some help with your drip strips, roofing accessories, or need to talk to someone about roof water issues, call us or contact us online. Speak to our roofing experts. We’re happy to assist with choosing drip strips and other roofing essentials like guttering, downpipes, fascia, and more.